May seems to have FLOWN by, just me? anyone else? Regardless, I'm participating in Fresh Sewing Day. Make sure you head on over to see what everyone else was up to in May! Whoa! You finished six quilts this month?! It's taken me all year to get that far. Your May looks like it was full of beautiful projects :-D I'm totally inspired! I love your swoon quilt!! Great job on your finishes!! Everything is beautiful, Jennifer! You are a machine!! Congrats on an excellent month! Wow - you had a productive month! 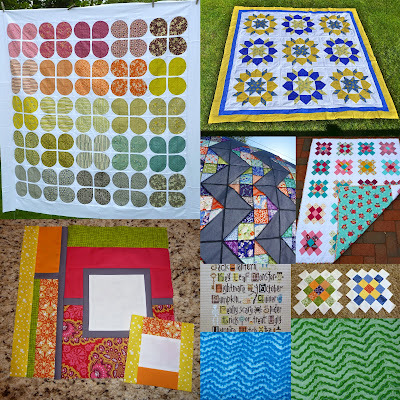 Love your swoon, love your zigzag, love your flower quilt....all lovely stuff. Good for you on such awesome progress! Yay for getting all those tops done! You had a great month!! Beautiful work!